The management of the University of Port Harcourt (UNIPORT) has released the first batch and second batch admission lists that contains the names of candidates offered provisional admission into its various undergraduate programmes for the 2018/2019 academic session. UNIPORT 5th Batch Admission List. 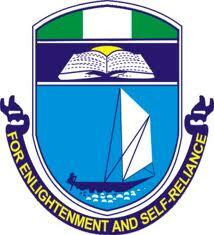 UNIPORT 4th Batch Admission List. UNIPORT 3rd Batch Admission List. UNIPORT 2nd Batch Admission List. UNIPORT 1st Batch Admission List. Admitted candidates who have not accepted their admission on the JAMB website (CAPS) should do so latest by Thursday October 11th, 2018 or the admission will be withdrawn. Recommended: UNIPORT Registration Guideline for Newly Admitted Candidates. No candidate can be offered admission EXCEPT O’level result(s) have been successfully uploaded on JAMB website (CAPS). ALL candidates not yet admitted SHOULD therefore upload their O’level result(s) at UNIPORT ICTC or any accredited JAMB CBT center on or before Thursday October 11th, 2018. Congratulations to all the candidates that made it to UNIPORT admission list.